Approx. 0.5"L x 0.7"W (12x18mm). 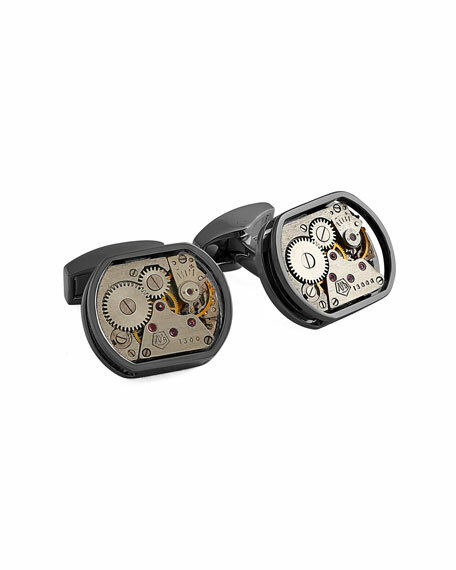 Tateossian cuff links created in a limited edition of 39 pairs. Fossilized palm wood? ?also known as petrified wood. Logo-engraved rhodium-plated sterling silver. Enamel ring around edges. Whale backs.